Bart: I hate this place. Lisa: Yeah. It seems like our house, but everything’s got a creepy Pat Boone-ish quality to it. 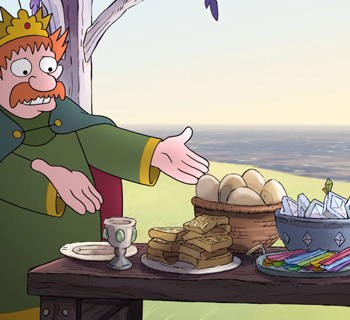 Ned: Hey, kids! 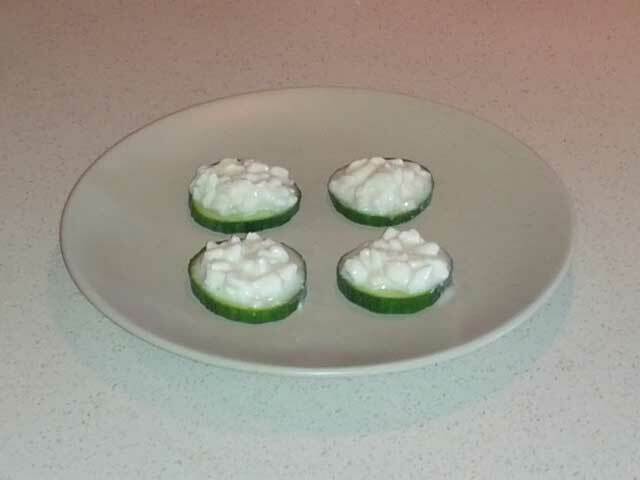 Nachos Flanders style, that’s cucumbers with cottage cheese. I actually like cucumber and cottage cheese, separately. So I figured that combining them would be deliddlyicious. Nachos Flanders Style certainly aren’t the worst thing I’ve ever made; but they also aren’t something I’m in a hurry to make again either. Perhaps it’s because they have such a creepy Pat Boone-ish quality to them? Slice cucumbers into bite sized pieces and arrange on a plate. Spoon a small portion of cottage cheese onto each cucumber. Serve immediately. Optional: Loudly announce you’ve got nachos available for your (or your friends’) kids. 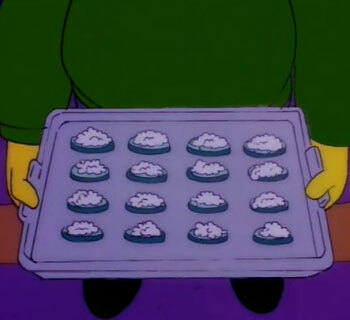 Instead, serve Nachos Flanders Style to the kids who will think they’re getting real nachos. Then see how disappointed you can make them in a single, hilarious moment. Cucumbers usually add a nice crunch to a salad, but as soon as I scooped the runny cottage cheese on top, things got soggy very quickly. I had hoped that adding some salt and pepper would help the taste, which is something I’m sure Ned Flanders would not do for his recipe. While this did add a little flavor, it still didn’t help with the consistency issue. If you’re going to make this consume them immediately. 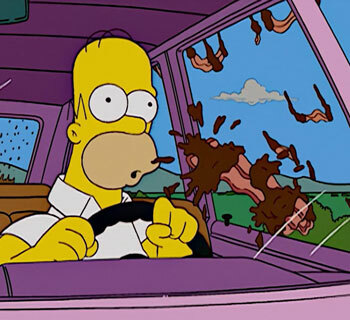 I ate my Nachos Flanders Style right away and they were still a runny mess. Add a Triscuit into the mix. 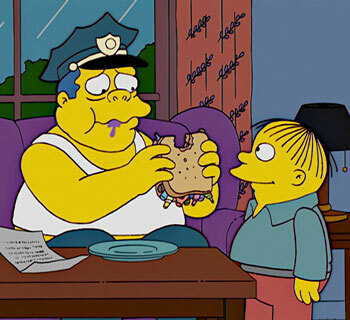 But would Ned Flanders, the man who likes his bread plain with water on the side for dippin, approve of said Triscuit I wonder?